Njeguši is a village in southern Montenegro, within Cetinje municipality. 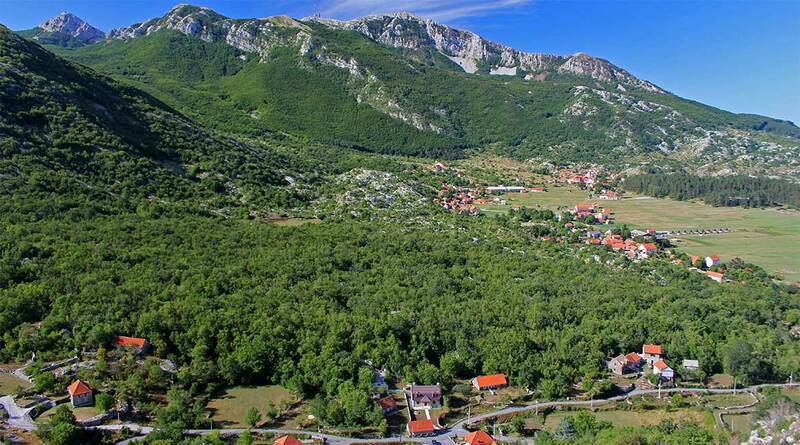 It is located on the slopes of Mount Lovćen, within Lovćen national park at 1,111 meter above sea level. 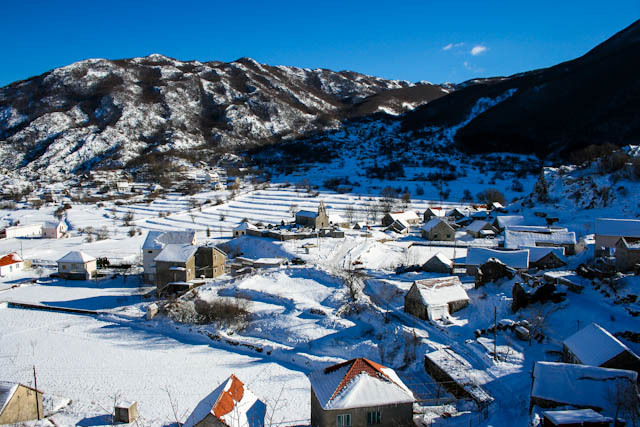 This village is best known as birthplace of Montenegro’s royal dynasty of Petrović, which ruled Montenegro from 1696 to 1918, as well as everyday office supreme temporal power in Montenegro, Gubernadur, from one of the oldest families in Njeguši-Radonjić, which ruled from Montenegro, first to the Supreme serdar Stano of 1520 and even earlier (the days of the family Crnojevic), as of a later gubernadurs from 1756 to 1832. The village is also significant for its well-preserved traditional folk architecture. Njeguški sir and Njeguški pršut, local forms of cheese and prosciutto respectively, made solely in area around Njeguši, are genuine contributions to Montenegrin cuisine. Name Njeguši as well as the tribe of the oldest times is referred to only name Njeguši. And today in the Njeguši and all over the Old Montenegro and all the surrounding areas of the tribe heard the name Njeguši. It is therefore the right, old and preserved to the present name. Ilija Ruvarac says that the tribe Njeguši called by the name founder Njeguši called that name is already in a Latin document the 1000th ” as Negusius Podcupica. Houses where Petar Petrovic II Njegos (in halmet Herakovici) and last ruler of Kingdom of Montenegro Nikola I Petrovic were born, are museums today. 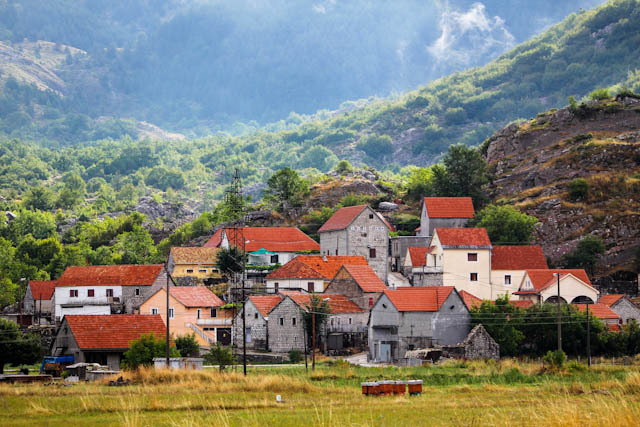 When coming from Njegusi to Krstac pass and continuing upwards to hills around Krstac, or downhill by the road to Kotor, you can experience wonderful views on Boka kotorska bay, Orjen mountain and many serpentine’s of Kotor–Cetinje road. 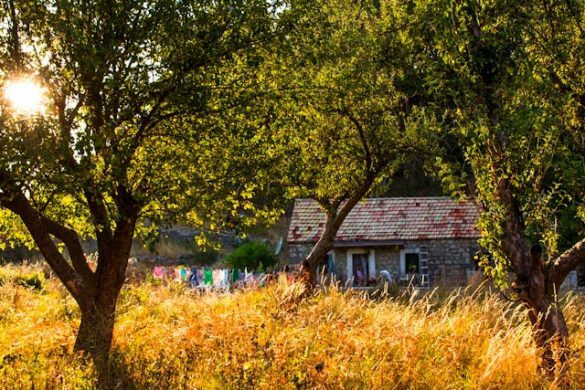 BNB Njeguska sijela – BNB Njeguska sijela is situated in Njeguši and has a garden and a terrace. This 3-star bed and breakfast offers valet parking and free WiFi. Guests can make use of a bar. At the bed and breakfast, each room comes with a wardrobe and a flat-screen TV. Rooms come complete with a private bathroom fitted with a bath or shower and free toiletries, while some rooms at BNB Njeguska sijela also feature a seating area. The daily breakfast offers continental and vegetarian options. Facilities : Free Wi-Fi, Free parking, Terrace, Garden, Restaurant With Dining Menu, Bar, Car rental, Airport Shuttle (additional charge), Baggage storage, Wake-up service, Ironing facilities. Our three things we recommend to see or do when visiting Njegusi.